The oil cleansing method is fantastic for all skin types. Is it sensitive skin friendly? Yes. Can you oil cleanse if you have oily skin? Yes. Will it make your skin oilier? Not if you do it the right way. Do cleansing oils work for dry skin types? Yes. Is the oil cleansing method a little bit fabulous? Yes. Oil cleansing is one out of a handful of ways to cleanse your skin respectfully. Cleansing your skin is a danger step. Yes really. See, your skin is delicate, even if it’s not sensitive… every time you cleanse, your skin looses a part of itself (and I’ll be telling you exactly which part soon). Which is great, no-one wants to be panda-eyed in the morning ‘eh. However, most cleansers take away more than just your makeup. They also take away nutrients from your skin. So what can you do? Well my friend, the oil cleansing method has just the solution. Cleansers can be a minefield… unless you know what you’re looking for. There’s face wash, face wash scrubs, high foam cleansers, cream cleansers, balm cleansers, gel cleansers, micellar waters… and now there’s the oil cleansing method. Which out of all cleanser types, can be the most simple, most effective and most skin beneficial. It works like this. Instead of using face wash, you dose a cotton pad with oil, swipe gently over skin and watch within seconds your make-up and skin’s daily collected impurities melt away. There’s no scrubbing, no tugging, no pulling. Once you’re absolutely satisfied all make-up, pollution impurities… left over chocolate cake (gasp – how did it get there) has melted away. You splash your face with water (you can also use a water dosed cotton pat to wipe away) and pat dry with a towel. Once you see how quickly the oil cleansing method cuts through even water proof make-up, you’ll never look back. 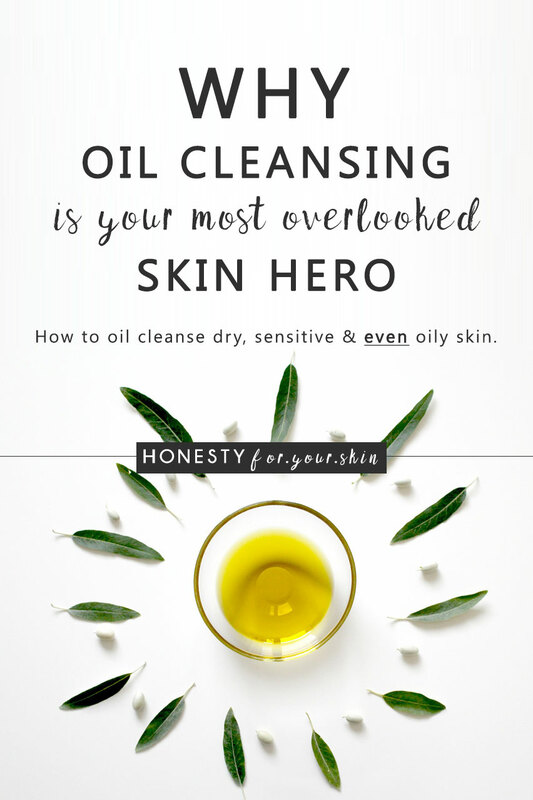 Oil cleansing is based on one very simple scientific principle and one very simple skin fact. Like dissolves like… so water dissolves water, oil dissolves oil, chocolate cake dissolves chocolate cake. Ever seen oil sit on top of water? Well my friend, this is why. It’s the oil:water clique. Your skin’s top layers, the ones you can touch are almost exclusively oil based. Which is why, water doesn’t instantly dissolve you away. It is indeed safe to sit in the bath tub. Phew. And this safety is thanks to the oil:water clique and the fact your skin’s surface is oil based. So, how does face wash work? Face wash is mostly water, so how can it cleanse layers of skin that are oil based? Water doesn’t dissolve oil, so how does water based face wash work? Welcome to the world of surfactants, soaps and detergents. These guys are anomalies. They’re the odd ones out. Surfactants like sodium lauryl sulphate (SLS) are like hungry little tadpoles. They have a head which loves water and tails which love oil. Any impurity you could ever have on your skin, will either be dissolved by water or oil… or a surfactant. Which makes them great cleansers… cleansers which are very effective. Yet, also damage skin. All skin types need and love oil. Without an oily layer, your skin cannot lock in water. It therefore becomes dry, dull, dehydrated, prone to fine lines, irritated and sensitive. Imagine washing your hair without conditioner. Imagine heating your bedroom with the windows open. Imagine adding water to a bath with the plug pulled out. This is like trying to hydrate your skin without respecting or replenishing its oily top layers. Face wash removes make-up, pollution and an amount of your skin’s oily layers. Can you see where this is going? Face wash often causes dry, dull, dehydrated, irritated and sensitive skin. Whereas… the oil cleansing method, well that’s another story. Does the Oil Cleansing Method Work? The oil cleansing method works with, not against your skin’s biology. Trying to cleanse something that is mostly oil based with water, is like trying to make chocolate cake with strawberries. So, why would you try to cleanse your oil based skin, with water. Seems crazy now ‘eh. This simple fact is why the oil cleansing method is your skin’s new BFF. Oil cleansers like this and this and super simply this (but before you invest, be sure to read on to the What Oils are Good for Your Skin Type section). Oil, or as you might also know it, sebum, sits over every millimetre of your skin. It sits on your skin, over your hair follicles and in your pores. Now imagine having a full glass of oil and trying to mix water into it. Not happening ‘eh. You have to mix like a crazy person, to just get an oil: water whirl. It lasts for a second and then taadaaa, it’s back to oil: water layers. Can you now see how trying to cleanse your skin with oil and not water works wonders? Oil can mix with the sebum in your pores, oil can very quickly dissolve away oil based makeup. Oil can help recondition your skin’s top layers. 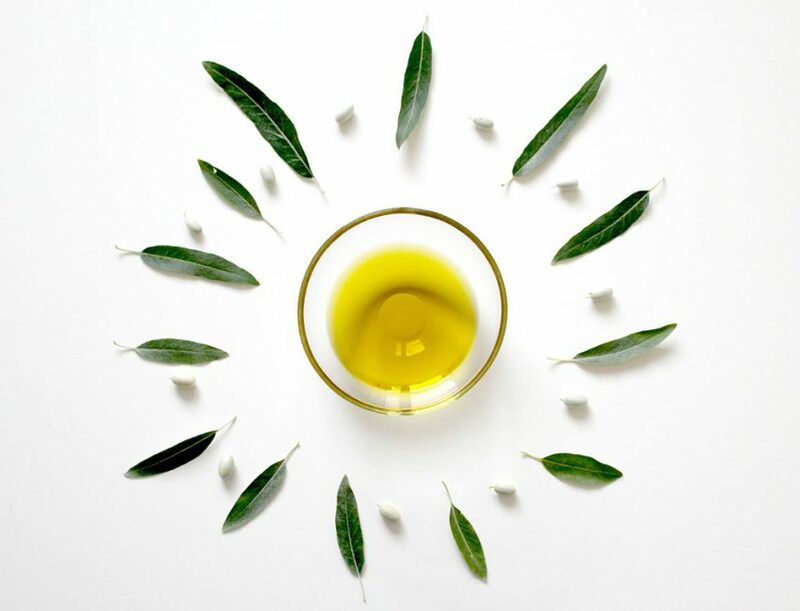 …and because of another super simple scientific principle, ‘everything must reach balance’… oil can never take away too much oil from your skin. Because an oil cleanser is already oil based. Which means yes it can dissolve and wipe away oil based makeup, but no it cannot remove too much of your skin’s natural oils. This is the magic of the oil cleansing method. It cleanses your skin… and pores. It respects your skin’s biology. It protects your skin’s ability to stay hydrated. What Oils are Good for Your Skin? Now if you are new to the oil cleansing method and natural skincare, I’d definitely recommend you start off with category 2, pre-blended cleansing oils. These guys take the faff out of your hands. They also contain a few specialist ingredients which make the oil cleanser easier to wash away. For first time oil cleansers, this is great. It means you definitely will not feel greasy. This is a great oil cleanser for sensitive skin. This is a great oil cleanser for normal/dry skin. And… this is a great oil cleanser for oily skin. Most of which you can buy individually from Fushi, here. These oils can ‘go-off’ quickly as they’re unsaturated, so when mixing it’s great to add 0.5-1% Vitamin E – an antioxidant that stops oils going rancid. If you have an oily skin type, there’s also one word of warning. When oil cleansing do not, for this reason use pure coconut oil. Again for most of these oils, Fushi has an answer here. Having a normal skin type means you can also blend these oils with any of the oils suitable for oily/dry skin types. This is a great way to adjust your oil cleanse to dry winter weather or oily summer sunshine. Usually you’d use a ‘carrier oil’ which tends to be a cheaper, less nutrient dense oil. Oils like castor or almond oil are perfect. You’d use about 2/3rds of this carrier oil and top up with oils like avocado and jojoba for winter and grapeseed and rosehip for summer. How do You Use a Cleansing Oil? Now my friend, if you’ve chosen a category 2 cleansing oil, one of the pre-made oil cleansers I’ve recommended, your oil cleansing method will be a tiny bit simpler. All you have to do is use it the exact same way as face wash. Take a dose into your hands, massage it into your face and wash away with water. These cleansing oils will then turn milky and wash away easily. However, if you’re using your own cleansing oil blend or a straight up, 1 oil, oil cleanse e.g. almond oil. The first bit works the same, you take a dose, either into your hands or onto a cotton pad and massage into skin. Then use a cotton pad to remove. Splash your face with water and use a towel or face cloth to pat dry. Once you’ve passed the 4 week mark of oil cleansing, I’m pretty sure you won’t be looking back.